I can’t promise that Ironman posts are over. Especially because I’m racing another one next summer, and even more so because something that you’ve dedicated nearly every spare moment to for an entire year doesn’t disappear off the radar just because a date ticked by. Before I had even devoted 6 months of training toward IMC I knew I’d have a hard time letting go of what happened in Penticton once finished. I knew I’d need something immediate to keep me going. I knew that a fall full of “recovery” would be bad for the psyche and worse for the heart. So when I toed the line at the Lake Samish Half last January and another runner told me our NYC qualifying time was something like 1:36:00 I went for it. Though I didn’t have a stellar day I came in under the mark. And all of this is exactly why I registered to run the NYC marathon as a guaranteed entry the very next day. So now let’s talk about that. 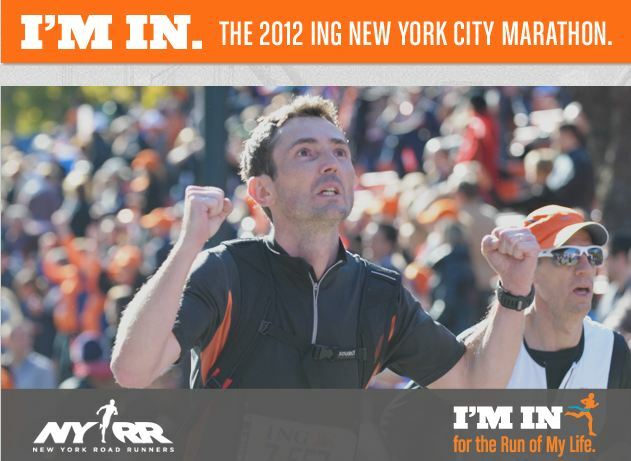 So now we’re at about 6 weeks until the ING New York Marathon. For the record, that’s about 6 weeks less than what I’d like to see on the calendar. Though I just “ran” a marathon I now understand how different an Ironman “marathon” is from a normal one; running 26.2 after biking 112 and swimming 2.4 is about guts, heart, and strength. Running 26.2 alone is about fitness, and then heart. My running fitness isn’t where I want it to be right now, which is frustrating. I have the endurance in my body but not the speed in my legs or capacity in my lungs, which is even tougher for me to accept. But I’m still really excited to run a marathon. The process of The Marathon is what introduced me and then got me hooked to the world of endurance sports, and not surprisingly I could go on and on and on about how grateful, happy, and excited I am to be part of that community. I credit the sport and community with reminding me of who I am and who I want to be, with how I’ve met inspiring and amazing friends, and with how I found a job that’s not work. I worked really freaking hard to make these things happen, but the universe delivered, and saying that I’m thrilled to be here would be a massive understatement. So back to the marathon, I haven’t run one since April 2011, which was easily 100x more painful than IMC. But I’m excited to be a runner in a sea of many in New York. I’ll go back to Boston one day for certain, and uninjured. But I don’t know that I’ll go back to run NY more than once with the new standards and lottery! So I plan to soak it up and have fun, and if I have even half the fun I did in Penticton it will be a success.